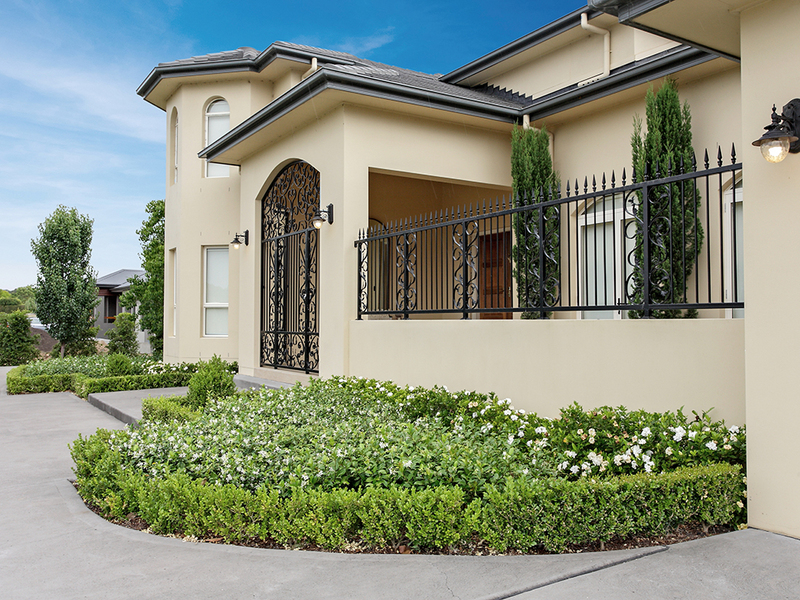 This project located on an acre of land adjoining the fairway of a Sydney golf course was completed in three stages over nearly 5 years. 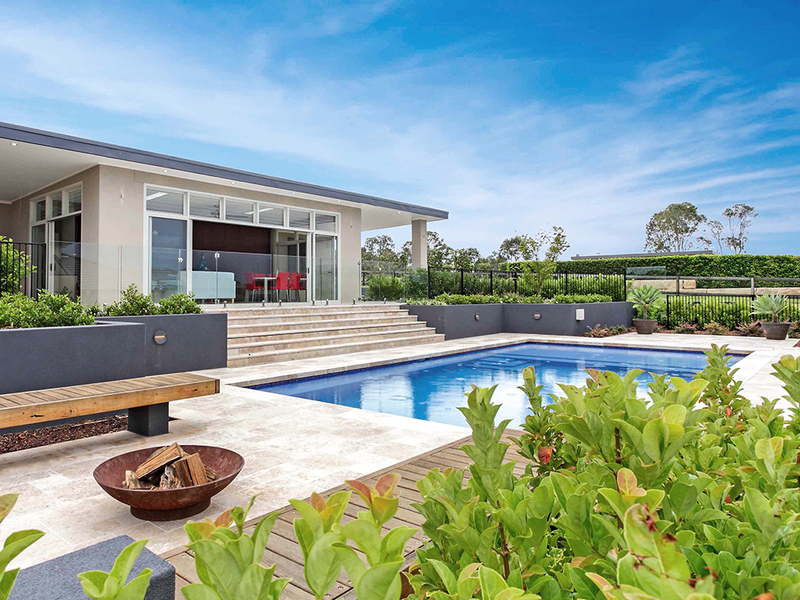 The final stage culminated in the construction of the swimming pool, cabana and man cave (shed). 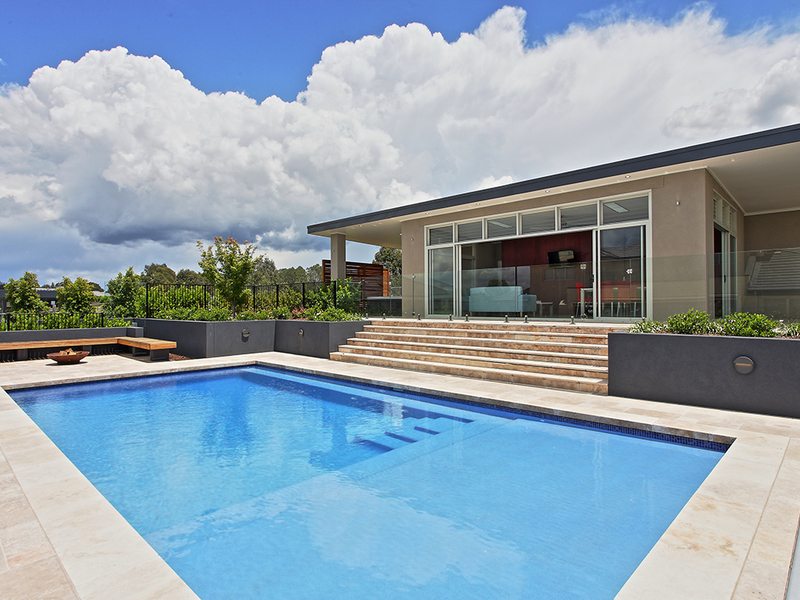 The expansive family pool was installed on a mid-terrace 6 steps up from the home. 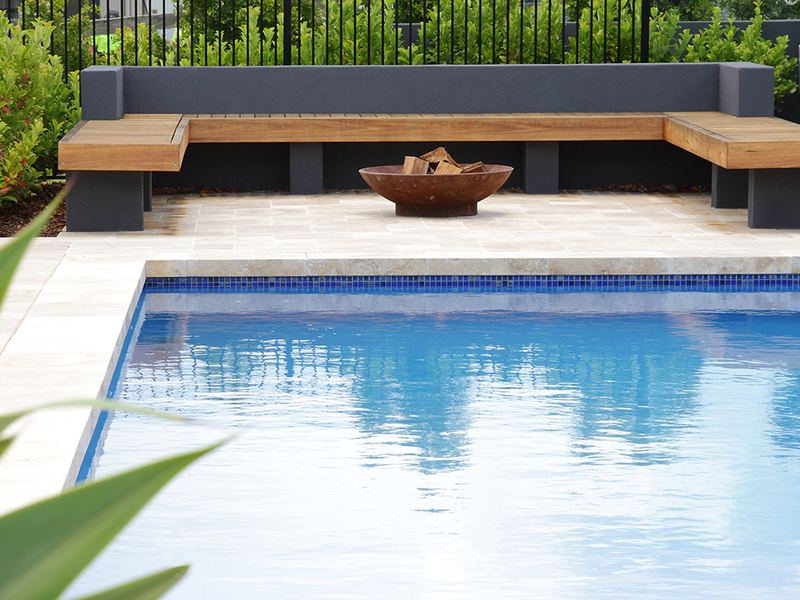 On this terrace a sun lounging area and fire pit with floating hardwood bench were installed within the pool enclosure. Another six steps up from the pool we constructed a massive (8x5m) pool house fully provisioned with bathroom and kitchen. Behind the cabana our construction continued with the man cave, large enough to house 3 classic cars (14 x 7m).